Ideal for extended families-pool, tennis court, guest house! Charming, classic home with guest house easily accommodates large families vacationing together, with many spacious bedrooms and open common areas. 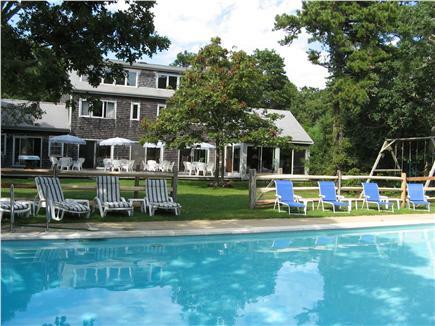 Have fun in the private in-ground headed pool (20x40 ft, available until end of Sept) and private tennis court. Enjoy games or relax in the hammock in the back yard. 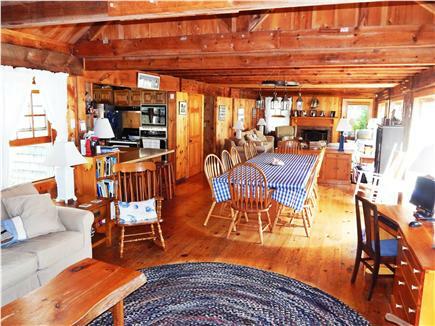 Share a meal on the long back deck (56ft) equipped with a new, large Weber BBQ grill. 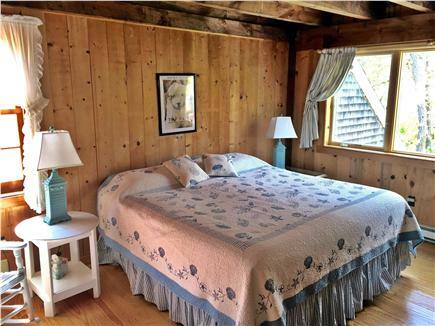 Indoor features include gorgeous exposed wood with tons of sunlight, generous living areas, and spacious bedrooms for quiet individual space to relax and refresh. The first floor offers plenty of shared space for meals, games, movies, and good old-fashioned visiting with an inviting sunroom, two full baths, comfortable living room with a cozy fireplace, and adjoining dining room and den in an open plan. The full kitchen with new, state of the art refrigerator affords easy access to the dining room. Spacious bedrooms, most with multiple beds, provide flexible housing arrangements. 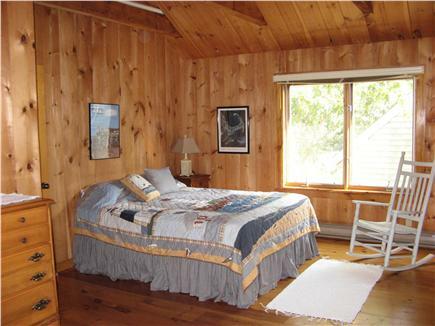 The first floor bedroom (two twin beds) adjoins one of two full baths on that floor. 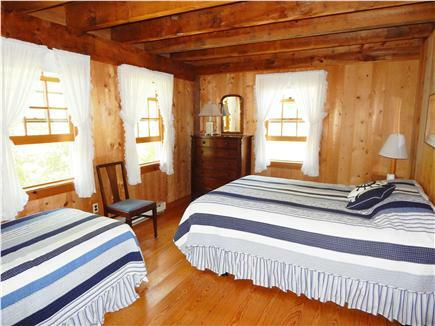 The second floor has four bedrooms and two full baths, one en-suite with the master bedroom (king bed). 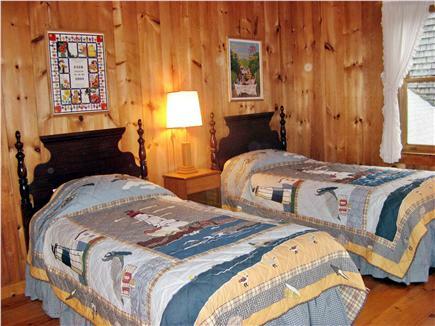 Two second floor bedrooms have two beds in each (queen, twin); the other bedroom has a queen bed. The third floor has a full bath and two spacious bedrooms with 3 beds in each (queen & 2 twins). The attached two-car garage has two bedrooms and a full bath on the second floor making it the perfect location for a family to have their own space; one bedroom is very spacious with a crib tucked in one corner (queen), the second bedroom has two twin beds. The guest house to one side of the back yard offers further opportunity for privacy. Comfortable livingroom, full size kitchen, full bath and laundry, two bedrooms, crib (queen, twin in each). Additional pricing info: cleaning fee per stay- $750 + tax, State and local taxes of 9.7% will apply. My team at work has now had a retreat at this Edgartown home two years in a row, and it is absolutely perfect for our needs. The pool and tennis court provided hours of fun, and the access to the private beach was so nice to have. It is also very conveniently located near downtown Edgartown. It seems the owners of this house have thought of anything vacationers might need - from having plenty of pool towels to having decks of cards for playing games. Even with having a large group, there was always somewhere you could go in the house for privacy to get some work done or to relax. Our extended family ages 5 to 85 stayed in this wonderful home. It had everything stocked and ready for vacation The pool and tennis court was a huge plus and we used them each and every day. If you want to beach it, South Beach is so close, some of us rode our bikes there and some of us just enjoyed the ease of this beautiful pool!! This home held all of us (20) with ease, no overcrowding at all PLENTY of space. Our saving grace was the extra large dining room table that sits at least 12-14 .We were able to visit /enjoy all meals together making our vacation time special. The owners could not have been more gracious,helpful,and ALWAYS ready to assist in any way possible to make our stay special. I would recommend this home anyone. But don't think you are going to get my week, because we are going back again!!!!!!! Wonderful Home, Great Owners, Perfect Family Vacation! This lovely home was the perfect location for our reunion consisting of 20 family members, ranging in age from 20 to 85. We arrived at the end of May and spent 10 wonderful days here. The younger cousins took over the guest house while the rest of us stayed in the main house, including my 85-year old Mom who got the bedroom with private bath on the main floor. The bedrooms are all good-sized, and there are plenty of bathrooms. The house has wireless Internet, 5 TVs (including a large plasma TV in the den) and is well stocked with kitchen essentials, towels, books and indoor and outdoor games. There’s also plenty of rafts and toys for the pool and folding chairs and coolers for the beach. We cooked most of our meals on the grill and enjoyed being able to eat together, either outside on the spacious patio or inside at the large dining room table and adjacent kitchen counter. 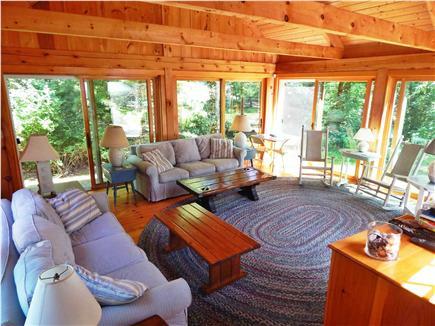 The sunroom off the den was a wonderful place to nap, play games and work on jigsaw puzzles. It got chilly at night so the fireplace in the den was put to good use. We took lots of walks to the small private beach and deep water dock that is nearby and is owned by the neighborhood association. We also spent many enjoyable hours reading in the hammock and playing soccer, ladder toss (try it, you’ll like it!) and other games in the large, open backyard. The tennis court was a particular highlight and was the scene of some intense competitions, followed by a jump in the heated pool for a quick dip. The house is on a bike path, so we rented bikes for easy access to South Beach and Edgartown. There are bike paths along most of the island's roads which are great for runners and for biking to beautiful beaches, cliffs, lighthouses and nature preserves. Edgartown is only a half mile from the house, and it’s an easy drive to Oak Bluffs and Vineyard Haven, all of which have great shopping and restaurants. 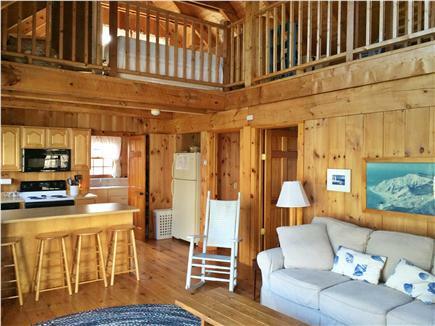 South Beach, which is consistently voted the #1 beach on the Vineyard, is only 1.5 miles away. Pam (one of the owners) was great to work with and got back to me quickly with answers to all my questions. When she heard that some in our group played piano, she even had the lovely old Steinway piano tuned for us! My only regret is that we had to leave at the end of our 10 days. I can’t wait to return and would recommend this home to anyone who is looking for a fantastic vacation home in a beautiful location. So, load up your fishing poles, kayaks, bikes, bathing suits, wet suits and dancing/walking/running shoes and get to the Vineyard as soon as you can! Best ever famiy vacation with all the amenities, location and dynamite weather. Swimmng pools with all the fun floats, chairs and bar were great. The deck was terriffic area used every evening. 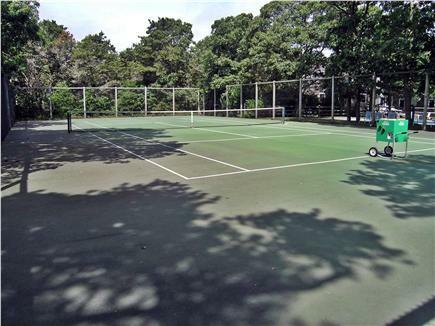 Tennis court was used every day. Large garage space allowed for storage of our bikes and gear.